TORONTO, ON., (Sept. 17, 2014) – Rev up those virtual engines. 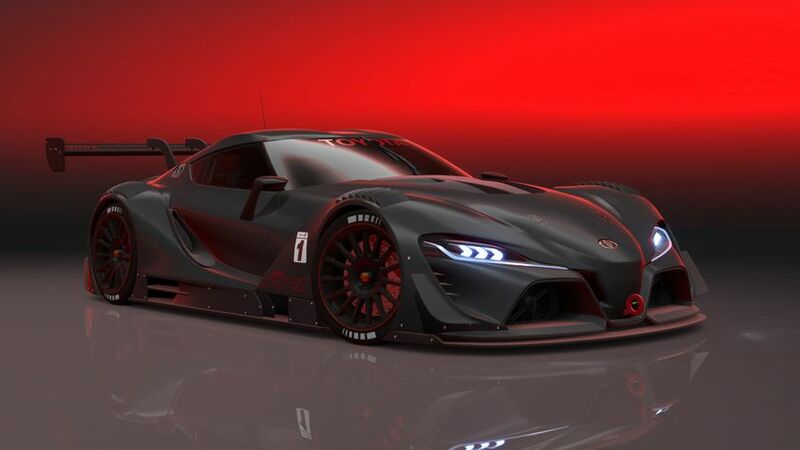 Toyota’s stunning FT-1 sports car concept takes the track again inside Gran Turismo 6 (GT6), the latest iteration of the best-selling racing franchise exclusively on PlayStation®3. A high-powered version of the Toyota FT-1, called “Vision GT,” is available now for download. Toyota’s North American design studio, Calty Design Research, in Newport Beach, California, designed the FT-1 to stun the world with bold, sculpted lines that communicate speed and power. Toyota has revealed two physical interpretations of FT-1 concept – in red and graphite – to showcase the vehicle’s versatility and striking styling. The red version was available as a Gran Turismo 6 download earlier this year, and the graphite is available now. Prior to building the FT-1 concept vehicle, key Toyota executives (including Toyota President Akio Toyoda) experienced its excitement inside the GT6 game. With today’s download, more fans can take the virtual wheel.